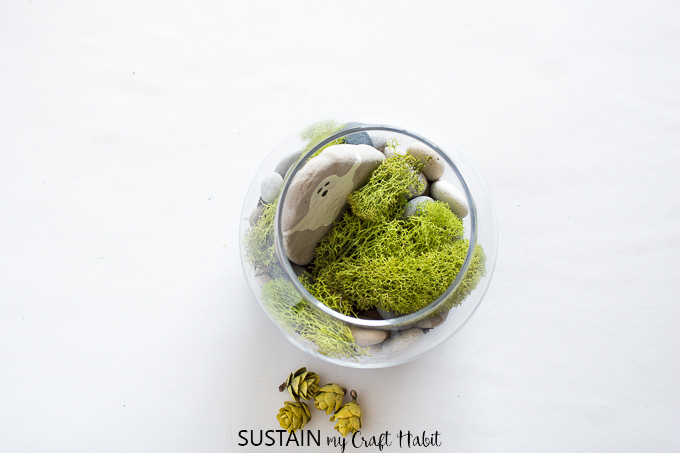 I’ve been eyeing these little glass bowls in my local craft store for a few weeks. They were calling to me, but I was determined not to buy until I had an idea for how to use them. 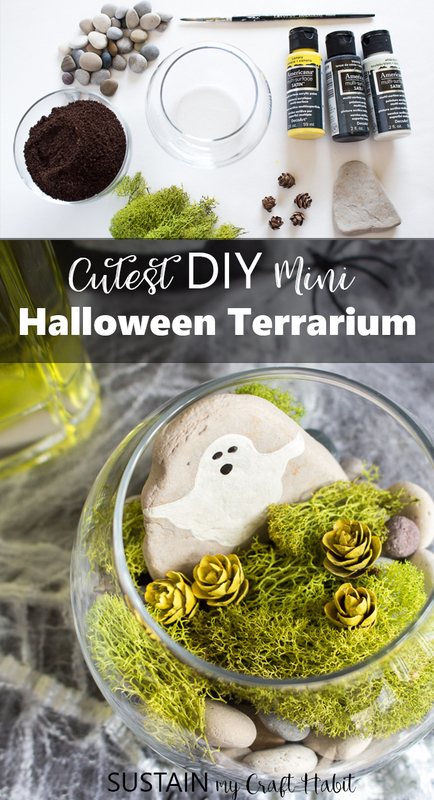 That’s when the inspiration for this adorable little halloween terrarium struck! 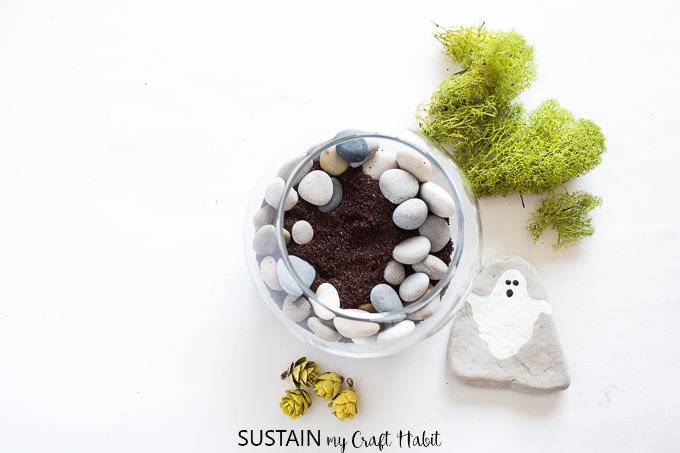 Ever since Jane made her beachy mini garden air plant terrarium I’ve been wanting one of my own. 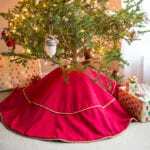 Terraria are great because they can be as simple or complicated as you like. For me, it’s about layering different materials and textures, adding in some living plants and then some cute miniatures for embellishment. 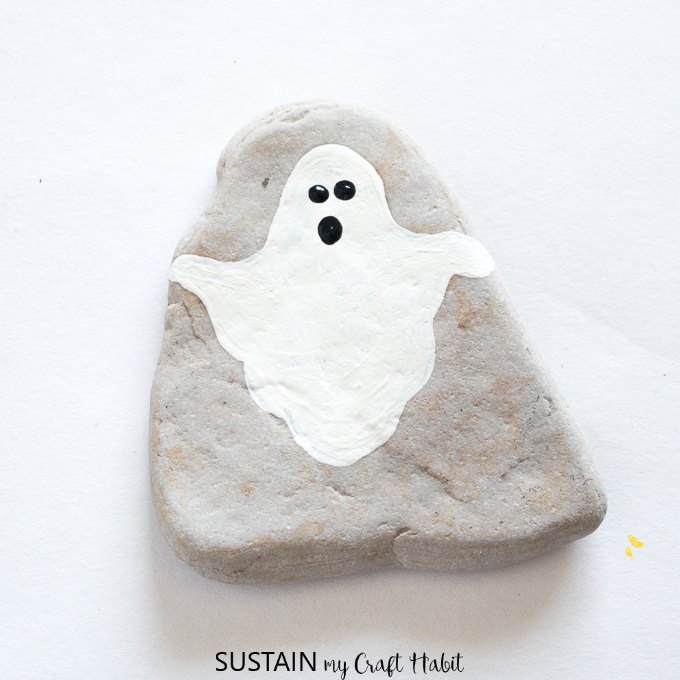 With Halloween around the corner I had to add a little spooky to mine so I painted a simple little Casper rock (OK – bonus points if you know what I’m referring to). 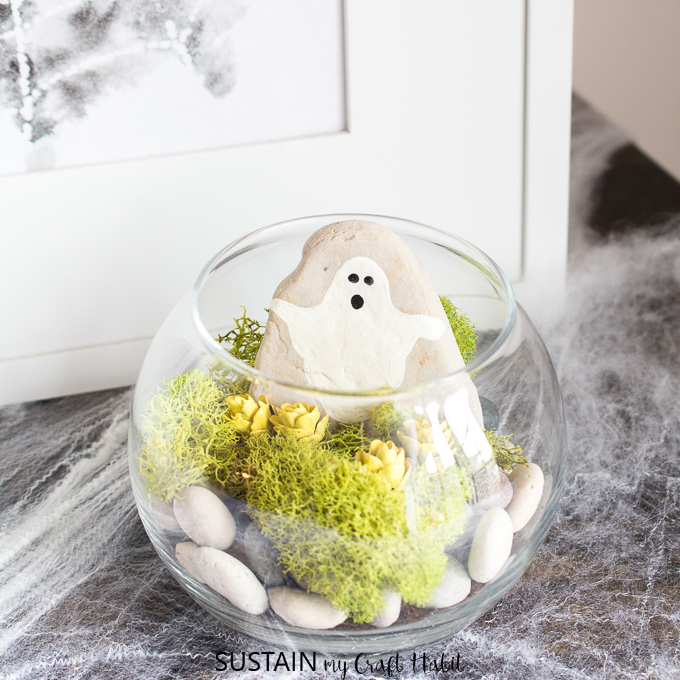 I originally thought to make it a cemetery terrarium, but it felt too morbid in the end. I love that with this version I’ll be able to change out the rock for a festive motif for the holidays, likely using one of our Christmas rock painting ideas! 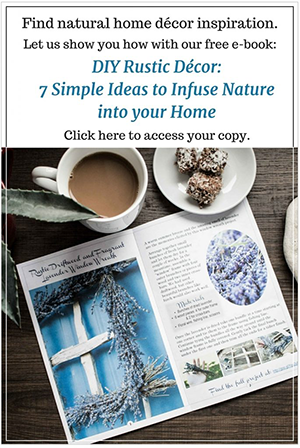 Disclosure: Some of the links in this post are advertisements and will be (indicated with *) for your shopping convenience. You can find our full disclosure here. 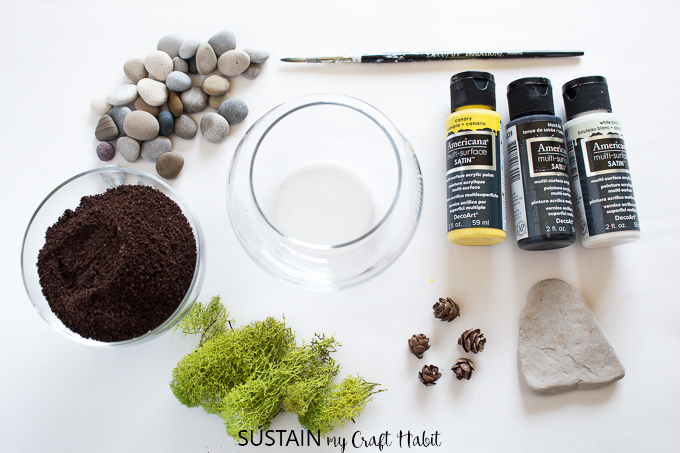 Start by painting your rock. 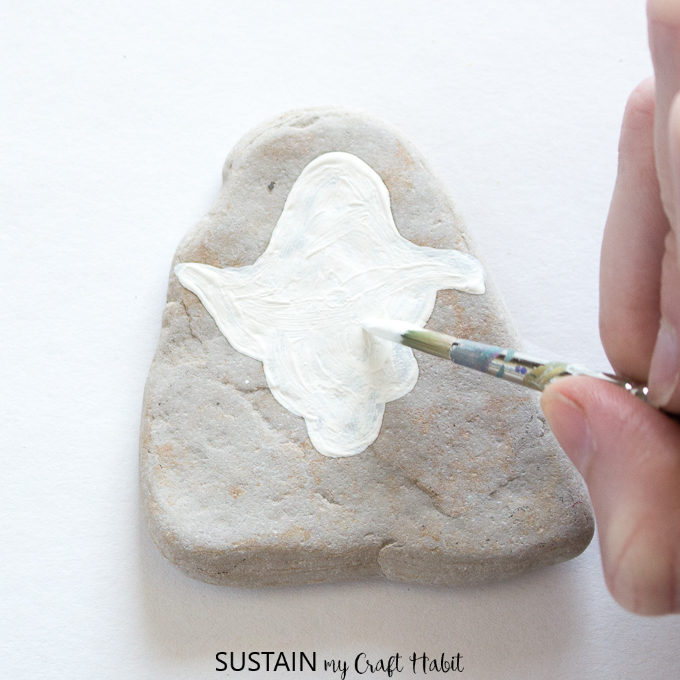 Use a fine paint brush to paint a white ghost shape onto one side of the flat rock. Let dry. 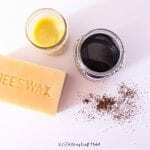 Paint on eyes and mouth using black paint. 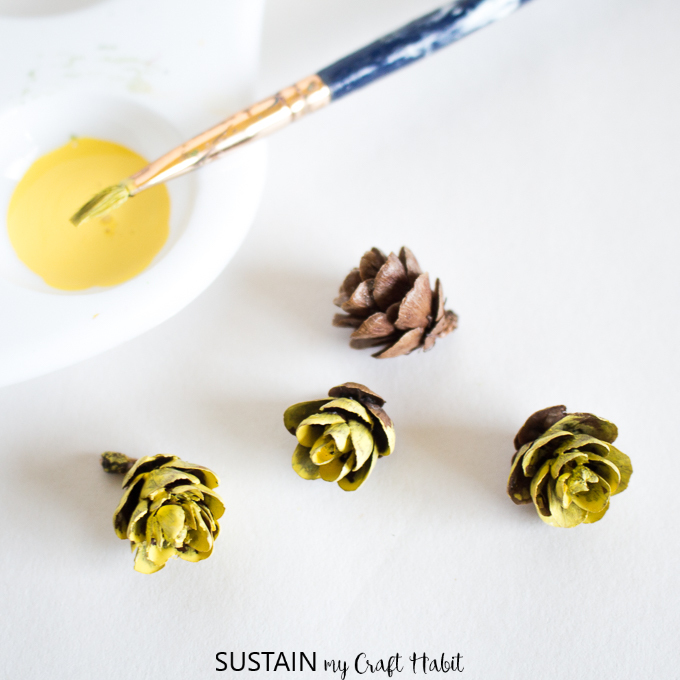 Paint small pine cones yellow, or any colour of your choice. Set aside. 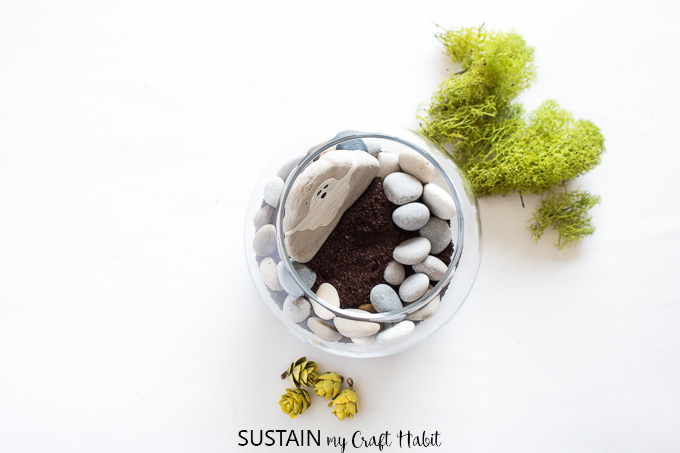 Add a layer of dried coffee grounds to the bottom of the small glass vase (soil would work as well). 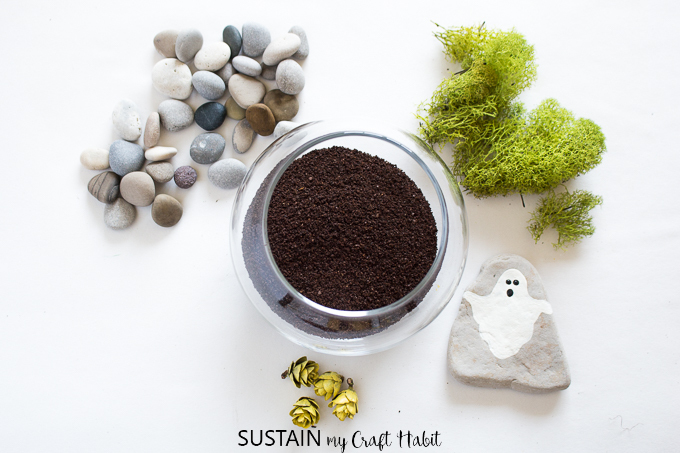 Gently layer in some pebbles over the coffee grounds. 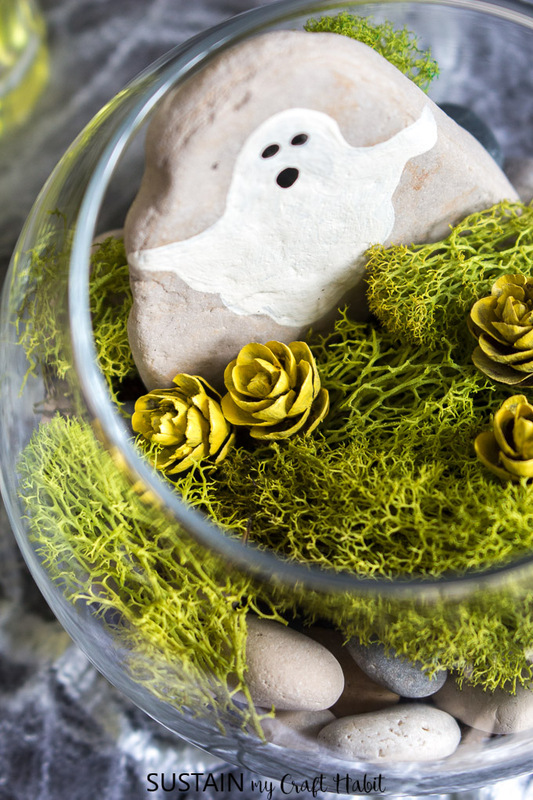 Place the ghost rock on one side of the vase. 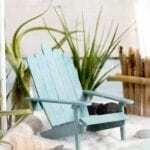 Add in the decorative moss. Finally, place the painted pine cone flowers as desired. And that’s it! 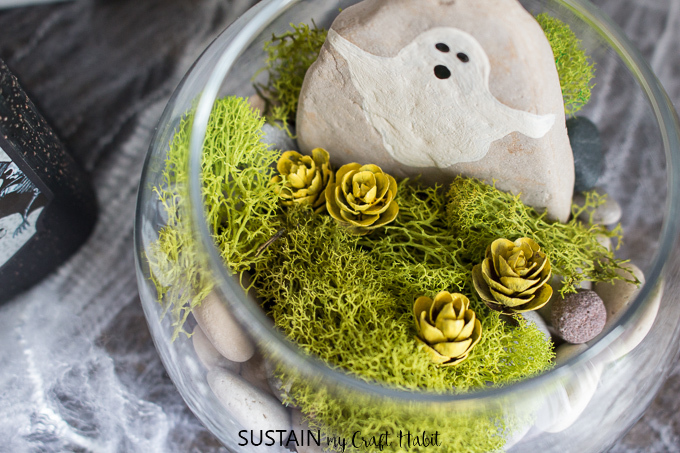 A cute little accent for your Halloween decorating. I’ve place mine by the front door along with this watercolour spider web Halloween art and upcycled egg carton Halloween garland. Do you go all out for Halloween? That is adorable and I saw the perfect glass containers at thr thrift store yesterday. The rock could be changed out for the seasons.